Khalid Amayereh: The "sincere" Man is behaving in a theatrical manner these days- just these day!! 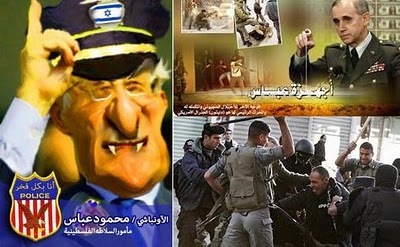 “Palestinian Authority (PA) leader Mahmoud Abbas is behaving in a theatrical manner these days. It is very much like “now you see it, now you don’t,” Khalid Amayereh. 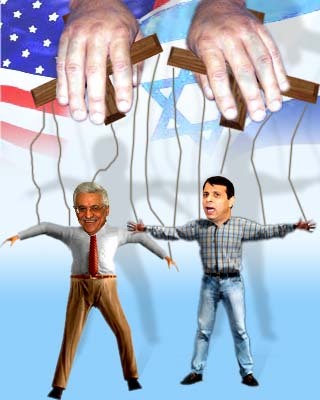 When the PA moved against Dahlan, the same Khalid thought “the Palestinian Authority (PA) decision to move against Muhammed Dahlan, the perpetual trouble-maker, will erase a major cause of the collision between Hamas and Fatah.” and cosequentely he “thought that the Dayton era was well behind us.” and Abbas will be remembered as a “a sincere man who tried but failed to make peace with Israel, even at a terrible price, namely giving up more than 78% of historical Palestine”. I agree with Khalid Abbas told the Palestinian daily Al-Ayyam. Though Khalid has no “doubt that the very existence of the PA is an Israeli achievement and vital interest”, he is still optimisic “Well, it is time these people sought an alternative strategy to put our people on a definitive track that would lead to freedom and liberation.“ He said without explaing the definitive track that would lead to freedom and liberation, freedom and liberation of what Mr. Khalid?? As you said, Oslo is dead and your Brothers fell into the trap and pushed Hamas to burn its ships with Syria and to start the so called “Real” Palestinian Partnership with Oslo Engineer. In other words, prevent freedom fighters from smuggling arms to Gaza, or attack Israel from Sinai. Khalid, you are demanding Miracles from Abass and his partners (Hamas), Abbas said it “dissolution is out of the question,” After the “Islamists Spring” I doubt that the very existence of the PA is vital not only for Israel but for Neo-Hamas. “The hard political realities in the occupied territories and (within Hamas) seem to have dashed all hopes for organising Palestinian general elections next month…according to an agreement reached in Doha between Fatah and Hamas a few months ago…. Mahmoud Zahar..referred to the Doha agreement as dead. Zahar said organising elections would have to be preceded by a number of prerequisite measures, including forming an agreed-on government, releasing political prisoners, securing civil liberties, and guaranteeing a positive electioneering atmosphere….. “But none of these conditions has been met,” Zahar said….